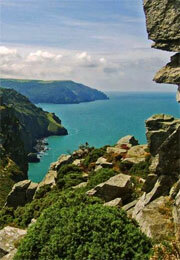 Devon has not just one, but two coasts, both of which are equally lovely in their distinct ways. The wilder north coast is famed for its great surfing beaches, whilst the south coast is home to hidden coves and picture postcard harbour towns. From the quaintest of English villages to the historic university city of Exeter, Devon has some great places to visit whatever you fancy. This largely rural county is both diverse and spectacular. At the heart of Devon is one of Britain's great wildernesses, Dartmoor. Rising high above the surrounding coasts and countryside Dartmoor is both beautiful and perilous. 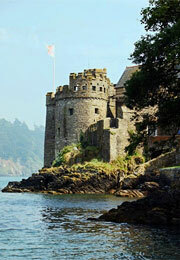 Coast, countryside, history and a whole load of family fun thrown in Devon is a great destination for all. This county of contrasts really does have something for everyone - whether you're looking for a romantic break or a family holiday, we'll help you find something to do in Devon. Devon has long been epitomised as the archetypal British holiday destination with the promotion of Torbay as the English Riviera. 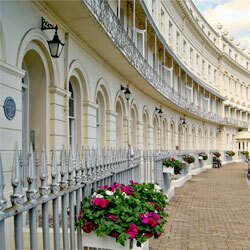 Postcards of elegant Edwardian hotels, promenades and palm trees swaying under eternal blue skies. 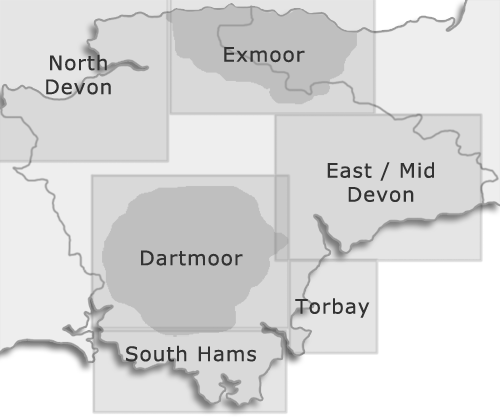 To some extent this is Devon, but only a very small part. 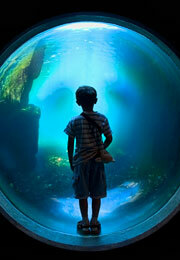 There are many facets to this beautiful, ecclectic county that make it such a wonderful place to spend any time. On the one hand there is the rural idyl of south-east Devon and the South Hams with its red soil, rolling hills and picture postcard fishing towns such as Totnes, Salcombe and Dartmouth. A landscape of farms and vallies dotted with quaint olde villages with their traditional pubs and inns. Then there are the moors - Exmoor and Dartmoor, with their desolate, romantic beauty. Windswept, heather strewn moorland and broken, granite tors which include some of the most remote places in England. 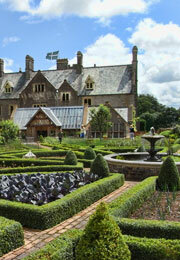 The towns and village here such as Lynmouth, Chagford and Ashburton are rich in history and tradition. Another region worthy of note is North Devon. 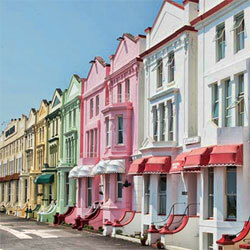 A popular family holiday location owing largely to it's glorious coastline. A cluster of seaside and beach towns stretching from Clovelly, Croyde and Woolacombe to Ilfracombe and then Lynton provide both great scenery and some of the regions best surfing. 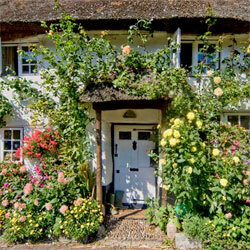 There's no shortage of places to stay and a plethora of B&Bs, hotels and Devon cottages to choose from. But there is more to Devon than the rural Devonshire of holiday brochures. 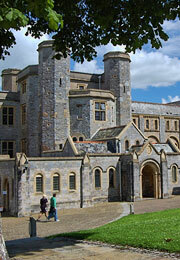 The county's two cities of Plymouth and Exeter are as rich in history as most in England. Both suffered in the Second World War and have had their city centres largely rebuilt in less than attractive 50s styles. 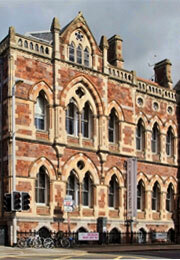 However both retain certain treasures such as Exeter's Cathedral and Plymouth's water front.